We all have our musical idols – the ones that push us to improve our craft as songwriters and musicians whether we know it or not. Much of the time this happens organically. We listen to lots of their music and it “rubs off” on us. But if you pay close attention, you can actually distill an artist’s career into actionable lessons that you can learn and implement in your own work to see better songs emerge. My favorite singer and songwriter of all time, Chris Cornell of Soundgarden and Audioslave fame, died last week – apparently taking his own life. Just a few weeks removed from me seeing them live here in Tampa as they kicked off what would become their last ever tour. It’s been a somber few days for the music community and for me personally as his music has shaped my music more than anybody else. I learned to play guitar and sing rock music while listening to Soundgarden as an 11 year old. Put simply, Chris Cornell was a master songwriter. And while you may or may not be as big of a fan of Chris’ music as I am, I think there are some powerful lessons we can distill from his body of work in order that we might become better songwriters and musicians. Today I want to share five of the biggest ones that have helped me and my music. My hope is that they will help you as well. Ironically it’s because of radio in the early 90s that I even heard of Soundgarden. They were HUGE from 1991 to 1997 on rock radio, with 1994’s Superunknown (featuring the mega hit “Black Hole Sun”) being what propelled them to fame. But Chris never tried to write music for radio. Instead he, and the rest of Soundgarden, wrote music for themselves and their fans. It just happened to blow up on radio. There is a songwriting strategy that goes like this: listen to what’s trendy and popular right now and then try and create your own version of that. And it is a completely valid way to write music. But, if you follow Chris’ career in Soundgarden and later on in his solo endeavors you can see a pattern. He kept changing up the music and writing whatever was interesting him at the moment. Some got popular, some didn’t. And that was OK.
At the end of the day, Chris was an artist. A craftsman. His goal was to create art that HE liked. Art that his FANS liked. If anybody else liked it, great. If not, that’s OK too. Were all of his songs amazing? No. And that’s coming from a diehard fan. But they were authentic to what he was feeling at the time – and that’s a huge reason why he was such a good songwriter. His eyes weren’t outward on what the world was doing, but down on his guitar and pen/paper. Write music that YOU enjoy, that your FANS enjoy, and then go from there. Which comes first in songwriting, the music? Or the lyrics? Except for a couple of his solo outings, the majority of the time Chris would write the music first THEN the lyrics. And this is a huge reason why his songs are so well constructed. If you write lyrics first, you are essentially creating poetry and then trying build a song around it. While this can work, it usually comes out sounding…well, like a poem set to music. If the music comes first, then it can stand on its own without any words – which in my opinion is paramount to having a song that can stand the test of time. Lyrics are very important, but they should only add to great music. If you listen to any Soundgarden song you’ll hear a well arranged, thought out, and meticulously composed piece of music. It never seems random or like it’s trying to fit around some obtuse lyrics. And that’s what happens when you write the lyrics AFTER the music. You’re forced to fit your lyrical idea into a pre-determined musical grid, which is just another wonderful way to use “limitations” to make better music. It’s much easier to write good lyrics to fit great music, than it is to write great music to fit good lyrics. So closely tied with the second point is that you must create memorable melodies. It blows me away how many songs are just plain boring. Nothing that even remotely sticks in your brain melody wise. The goal of every great song is to have listeners walking away humming your melody. This only happens if you take the time to craft a singable and memorable melody. Something that Chris has done so masterfully for over 30 years. From “Black Hole Sun” to “Outshined” to “Burden In My Hand” to “Like A Stone” – Chris wrote songs that revolved around at least one memorable melody. Most were incredibly simple – and that’s why they worked. For example, just yesterday I played “Black Hole Sun” in the car for my 8 year old daughter. She had never heard it before and I was trying to explain that “Daddy’s favorite singer just died”. Hours later, back home, she was walking around the house humming the hook of that song. That’s amazing considering most songs come in your ear and are immediately forgettable. Even good ones! A great song is only as great as its melody. Period. Chris Cornell is what some would call a triple threat. He could sing, play guitar (and drums!) and write songs. When you can write the songs, play the songs, and sing the songs it can easily fool you into thinking you don’t need anyone else, save for a backing band to make you look awesome. And this is the way my prideful brain operates. But in watching Chris’ career I was shown a better way – one in which you grow as a musician and songwriter when you create music with others. Starting with Soundgarden – it was a very collaborative band with all members actively contributing to the writing and arranging process. It wasn’t just the Chris Cornell show. What came out of those 4 guys (Matt, Kim, Ben, and Chris) was something unique – and better than just if Chris had done it all himself. Chris then moved on to do four solo albums, collaborating with a wide variety of musicians and producers in a wide variety of styles, ranging from country, to indie, to hip hop, to orchestral scores. The result was fresh new music and constant moments of creativity, instead of stale repeats of yesteryear. If you’re a solo musician working alone in your little audio cave (like me), I highly suggest you team up with someone else to squeeze out something new and original. I’m currently on a collaboration with someone who is completely outside of my musical safe place and the result is turning out to be amazing. At the very least, a simple partnership with someone who is not like you musically will become like an instant creativity switch that can lead to a slew of new ideas! Finally, one thing that I always respected about Chris was his desire to always move forward to something new, never looking back for long. And so he moved on to a solo career (four albums including the theme song to a James Bond movie), another platinum selling band, Audioslave, and lots of creative acoustic covers of famous songs. He was always interested in what was next. Something new. And I think that’s critical to your development as a songwriter. You must learn to write something, share it, and then move on to something new. Don’t live in the past of what you already have written. Write something new. Just the act of completing an EP or album project makes you a better songwriter and engineer. It’s far better than trying to “perfect” one project. So complete as many new projects as you can! The exciting thing is, you just never know what kind of music you have locked up deep down inside of you – just waiting to be un leashed. If Chris had been content with the success (and sound) of their first 3 studio albums and handful of other EPs in 1991 (and Soundgarden had finally broken onto national rock radio and gone platinum) then we would never have heard “Black Hole Sun” – something completely out of left field for that band. If Soundgarden had been content with the MASSIVE success of Superunknown, then we might not have the haunting and powerful solo outing Euphoria Morning or the in your face flawless rock experience that was Audioslave’s self titled debut album. And even to Soundgarden reuniting in 2012 with the incredible King Animal, featuring killer songs like “Bones of Birds” and “Rowing”. The point? Keep writing. Move on to the next song, and the next song, and the next song. It’s the only way to unlock your best material. Let’s be real for a moment – I will never be Chris Cornell. He was a uniquely gifted individual and a rare talent. And he will be greatly missed. But the good news for you and me? Getting better at songwriting isn’t that hard – we simply need to do more of it. Have you ever thought about that? It sounds obvious, but that’s what they do. So if you want to be a great songwriter but you’re not writing a lot of songs, something is wrong. Songwriters write songs. So I have a challenge for you: given your current schedule and commitments, how many songs do you think you can write in the next 30 days? One? Four? Ten? Leave a comment below with how many songs you plan on writing in the next 30 days and then come back here in a month and let us know how you did! Get a copy of The Frustrated Songwriters Handbook. Read it then come back and answer the question, “So I have a challenge for you: given your current schedule and commitments, how many songs do you think you can write in the next 30 days? One? Four? Ten?” If you read the book the first question in my mind would be, ” Why would anyone ask such a limiting question?” BUT… you have to read the book to know why I would ask that question…..
Graham, I’m kind of a novice at this although I’ve been writing pieces since I was a kid(16). I’ve stumbled, started, got hung up, stopped and finally come to realize that for me I have to write/develop the musical idea’s first, usually via keyboard and drums, and get them down. The music always seems to suggest the melody, which leads to lyrics..just my process but it seems to work..and the simpler the musical idea’s the easier it is to write melody and lyrics..just me. Looking forward to your song writing class this summer. The Axiom of Songwriting, as in all arts, is to be productive. I agree. Everyone may work differently, but its all the same. Some will work on one song intensely, while others can work on twenty at the same time. The point is how creative processes work. For myself, music and lyrics go hand in hand, I consider my voice an instrument and the melodies in my head influences my word choices. My rewrites reveals that music does come first because the first draft of lyrics don’t match melody. When I finish up, I’m tweaking both melody and lyrics. Is writing lyrics important even for an instrumental music that don’t need lyrics, such as smooth jazz and new age? Between you and rob @ prosoundformula I can pretty much attribute my improvement over the last 5 years to just you two. Hey Graham, Great post! I love Chris too. He was amazing and a huge influence on my music too. Thanks for honoring him like you did. Nice solid article as usual. Chris Cornell – what an amazing talent! Although your point of putting time frames is really strong & thus boosting and structuring everyone’s songwriting ability, it’s just that sometimes the very good song comes as a result of several sparks igniting during a long period of self-searching and inner playing with emotions & situations. You just approach it constantly & wait for it to emerge. But yeah, i think putting your efforts into songwriting more often and face it as a task that has to be done in a limited time can surely give good results. Cheers, so glad being a subscriber! I agree with almost everything here. Chris was awesome, especially with Soundgarden, and yes, Kim, Matt, and Ben all had a strong hand in that. Chris will be missed. I don’t agree that it’s easier to write music first then lyrics. For me, the music part is easy, but I can write many musical bits without any lyric, which doesn’t make a song. If I write my lyrics first (which is the hard part) I can put music to it easily. The trick here is to write lyrics with melody in mind. It’s not poetry – it’s lyric, which means it has to be sung. So sing it, and then develop the music around the lyric AND the melody. Of course, there’s always back and forth here, the music can shift the melody and/or the lyric, and vice versa. The key is to consider it as a song, not as separate lyric and music. That’s my $0.02, of course YMMV. 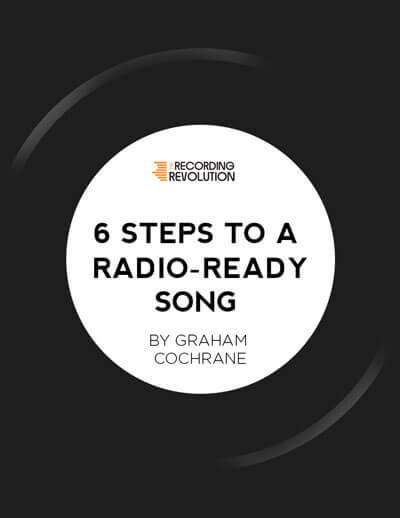 Great post Graham, I’m going to share it with my songwriting community. Very sorry for what must feel like an extremely personal loss of one of your guiding musical influences. I’ve been through the same experience many years ago when Elliott Smith died. Stay strong and keep creating! Gonna write 4 songs in the next 30 days! Thanks for the challenge and sharing your thoughts on songwriting! As a composer from prehistoric times, I feel that generating many new songs just contributes to the cultural noise that is crushing us with distractions and mediocrity. Let’s produce some great songs that take more time to polish and contribute great music to lift our listeners to new understanding and joy, and rise above the din of a thousand drums, crashing cymbals and screaming, angry, rebellious losers. Maybe we can show them a higher way and love them up to a better place with our tunes! Dale, you’re the only person so far that actually read the whole article and did the assignment!!! Well done. I’m writing 4 also. Good luck. Regarding whether it’s best to write music or lyrics first — I think it depends. In fact, for me the two often happen at the same time. A phrase or lyric will pop into my mind, and almost immediately a melody will begin to take shape, or a range of potential melodies. I think words and phrases have a sort of musicality built in, and in many ways songwriting involves discovering melodies inherent in words. It works the other way, too; I’ll often find myself humming a melody, and without much thought, lyrics will begin to form that fit the melody. Bottom line, at it’s best, songwriting is an organic process that requires getting out of the way and allowing the subconscious to direct the process. At least, that’s how it works for me. In my opinion a great songwriter can put lyrics to music, (or a poem);or write the music first and come up with lyrics that are appropriate. Both ways to create a song are valid Look at the Beatles for example, do you think they just came up with music first? ?In every case, or even most of the time? I would believe that both scenarios are the case, leaning towards lyrics coming first. Like saying let’s write a song about this subject and since it’s a sad song, for instance, let’s have the music match up the best we can. So my opinion is both ways are valid. Great article, Graham! I was a fan of Chris as well; it’s just so sad. Write songs. Because I’m a songwriter, and songwriters write songs. Best way is to write better songs. Study the history of American music and its roots from gospel to blues and on. Also learn about western classical music. If you can learn about copyright, music notation, and mixing, read books on the subject, and become non genre oriented. If you need a challenge take an old genres and try to write a song not like it but in the best of its genre. Have at least 40 songs or more in one’s roster before seeking to record. Learn how the classic rockers believed that one should approach recording to get warmth and spontanaeity in their recordings. And keep going. Be flexible and a non perfectionist or conformist. I write both lyrics and melody at the same time, always have. But the music is there first in the mind since after all it is a musical art. I got a degree in English Literature because I could not afford piano lessons and already played the guitar. It takes a lifetime to become a great songwriter. Don’t hurry or noodle over the details. Look to that later. Ian Fleming once said that he wrote quickly and with many mistakes when he wrote the Bond books, because if he thought about what he was writing he would give up. Similarly, let songs simmer for weeks, months and or years. Let a friend or bandmate critique it. Let it simmer and it will get better on a second, third or fourth editing or recording. I have not published a song ever but most of them are registered with the Copyright office, dating from 1978 to today. What do you think of Collective Soul? In art, it is know that accidents can heave greater results than its intention in the piece, so learn to jam and let mistakes go through. In my art-classes, which I took decades after my English literature degree, I learned that there are two very divergent art movements, classical and impressionistic, visually tight or lose renditions; non objective and objective; and there is a rise and fall in art where each era is defined as having stages forming a bell curve. It begins with excitement over new techniques, innovations, and or concepts; gets fine tuned and perfected, then these same new techniques get overused and over-perfected, loosing the initial excitement and falling into exaggeration and loss of meaning and most importantly the human feel. Today algorithms are taking over. I often wonder what stage we are in now. THEN it begins again. A new revolution a fresh beginning looking agin for meaning by looking at the past. If someone offers you Ten million dollars to come up with 20 finished song in 12 hours could you do it? You bet. Youd have to. Youd have to dump the garbage and write. They may not be the best songs in the world but for ten million Ill bet you all could write 20 finished tunes within that time constraint, in order to get paid. So what are you waiting for? Get the book ” The frustrated songwriters handbook” where in it lays out the song writing game that you can play by yourself or against other songwriters in a group. Most of you wont. That book isnt about the craft of songwriting but the work of songwriting and getting past the barriers you put on yourself that stifle output. David E Kelly wrote the scripts for the first 13 Episodes of Boston Legal while doing Ally McBiel. THAT is output. In his Book ” The War of Art” Stephen Pressfield writes about an encounter an author had with a reporter. The reporter asked the author, ” Do you write on a schedule or only when inspiration strikes?” I write only when inspiration strikes,” the author replied,” Fortunately inspiration strikes every morning at 9am sharp.” Now…THATS a pro. So… stop with the excuses and get busy. Use whatever method gives you the greatest output and write. Thanks Graham for the lessons and filling a gap long needed since the decline of them old gatekeepers. I don’t have time to always edit what I send. To busy with projects. Sorry about your loss. I’ve tried writing the lyrics first… For me it’s very restrictive! These are all very helpful tips. Great advice Graham. Thanks! I made sure to read it several times to make sure my problem with it wasnt superficial. Because the info contained within is. Of course a musician wants to write a memorable melody. A hook that carries with the listener for decades. It goes without saying when writing music. It is almost obscene to think that a musician, (barring some cork sniffing genres) wouldnt want to do that. My issue to put it plainly is, you are merely describing a symptom and not offering any valuable insight. There is no, real “powerful lesson” to your point. Just a sterile generalization of a function of popular music. The anecdote of you interaction with your daughter while cute, serves no function to a “powerful lesson” beyond pointing out that she loves her daddy and cherishes what he dose. That is common behavior for a child and not a true testament or credit to the point. I love your work otherwise Graham. This just fell flat for me. As far as songwriting I usually start with working out a Chorus first and then working out the rest of the song from there. I usually spend a few hours coming up with interesting riffs and create vocals around that. I spend a lot of time looking for interesting new melodies on Spotify to stay current on production styles that also helps. Not sounding dated is important. Borrow but don’t copy, concepts from multiple styles and create a new genre. Of course easier said than done. Songwriting is a life long journey you should always be improving yourself that’s the goal. Excellent tribute Graham and I agree with everything you said. I’ve been a fan of Chris’ since ’91 (when I heard Temple of the Dog). I saw Soundgarden in ’92 on the Badmotorfinger tour and he has been my favourite singer/songwriter ever since. Like most people, I found out about Chris last Thursday morning and that night and into the next day I wrote a tribute song for him which is the most therapeutic way for me to deal with this loss. What I’ve learned the most from last week’s tragedy is #1- Stop putting things off as time doesn’t wait for anyone , #2- Don’t try to be someone else, let your music come from the heart and don’t worry about the money or fame aspect because the listener will always know if it’s real and genuine. Plus you can go to bed at night knowing you didn’t “sell out”. And #3- Don’t be afraid to step outside your comfort zone, if it doesn’t work then you learn from your mistake and it becomes a lesson which will only help you get better. I was not a fan, but I understand how it feels. As far as writing songs on a dare, the amount I could write (and like, and respect) is 0. I doesn’t work like that to me, and, in my opinion, if you’re a song writer and you can’d write songs, you should change your job, not start writing crappy songs, cause that’s the “job”. For one, I can’t come up with anything worth while on command, it just has to come by itself, and if it’s good and stirs you enough, the arrangement pretty much takes care of itself. I could never write somthing because I wanted to. And, as such, I have been writing a few dozen songs, and still have enough themes and ideas, for maybe a couple of hundred more. My problem is putting them into professional sounding mixes. I could probably write two to three songs a month. If I really apply myself to it. Aside from the James Bond theme song and the “She can’t change me” song, his videos were very depressing to listen and to watch. Thanks for your awesome advice… as always. I am testing the “Notify me of new posts by email” checkbox as I get emails not relating to my comment but instead of posts made to the article and other readers’ comments. Please post a test comment to make sure that I am getting follow-up comments to my comment. Well, that “Notify me of new posts by email” didn’t seem to work at all. Love your stuff as always – it makes me think! I don’t agree with #2 – the only rule for songwriting is there are no rules. Think about … say … any of the hymns. Lyrics first. Chris too – there are several interviews up on the web stating he wrote songs all different ways. Chris’ passing has affected so many of us, especially from the grunge loving 90’s era kids. Soundgarden were the only band from that grunge scene laying down hits in polyrhythmic time signatures and the only popular band doing it (long before Radiohead went in that direction). That affected my songwriting immensely. Like many others here, I kinda disagree with point 2. There are no rules when it comes to songwriting, only what works best for your personal creative output whilst being aware of habits that prevent you from creating innovatively with songs. Having said that, as advice for any novices out there, your point 2 could be a very helpful tip as a starting place. Thanks again for such thoughtful & salient content. I always asumed everyone hears a melody when they write the initial music? Do they not “hear” the lyrics as well??? Troy why do you listen to others that tell you that what youre doing is the wrong approach especially when a lot of the greatest songs start with lyrics first then the music??? Want proof theyre full of it? Here: Lets ask how Elton Johns songs came to be? Were they music first or lyrics first? Does Elton John need to go to songwriting school because hes doing it wrong? Bernie Taupin leaves the lyrics with Elton THEN… Elton comes up with the music. Theres NO RULES. Just write and create songs. Stop letting others make you second guess yourself. Those people arent doing you any favors. Nonsense. But you’re young 😉 It’s a warm sunny day so I’ll pontificate 😉 Graham, the following ramble is meant with all good humour and best wishes… you have Agent Orange as a President, so my deepest sympathies. You have compelled me to comment with your blad statement above that needs challenging. From a guitarist’s perspective (self), look at Big Bill Broonzy, for example, played the same tune about 40 different ways. So did Chuck Berry, (much like SRV) in order to ‘support’ their lyrics. The parlour ‘guitar’ / arabic / north African sourced stringed instrument was primarily an accompaniment instrument, as not loud enough to take lead in an orchestra, until electrified in the C20th, ‘great balls of fire.’. Hank Williams was a great American folk song writer and not bad guitar player, but more important were his story telling, social commentary lyrics. This leads us directly to Bob Dylan whose lyrics stand alone as a triumph of writing. He’s neither the greatest singer in the world nor guitarist tho’ was at one time not bad at emulating Hank Williams’ guitar style on an acoustic. Now, if you are referencing instrumental tracks, say by some whom I love, like those of Chet Baker, Jeff Beck, Weather Report, Jaco Pastorius, Antonio Forcionne, John Schofield, Larry Carlton, Nile Rogers, Tommy Emmanuel, then sure it’s all about the music. But few current audience have any idea who most of them are, esp. youngsters under 30 even less… In C21st very few look to Pink Floyd, maaaan…. oooh, for the experience maaan…. these days, as those times have passed. You seem to not hold that the ‘songs’ with lyrics of weight and substance, attached to a catchy simple riff, doesn’t matter if conveyed by a Springsteen, a Steven Tyler / John Mayer, spoken / half sung by a Dylan or screamed by Iggy Pop / Ramones are the driver of pop / rock songs to massive hights. Even the ‘song writing by numbers’ of Taylor Swift formulaic lyric writing / singing style resonates far more with an audienmce than just the simple tune underneath. We’re not talking Anne Dudley, musician, composer, arranger and producer, nor Bach, Mozart or Stravinsky here. I love your American Phish band for the Gumbo song, the humour (not used enough) in the lyrics, ‘supported by’ a bouncy, danceable groove. Absolutely attractive and slightly memorable lyric. But in reality most audiences come for the dancing first, Blondie, they want to move their bodies and tear it up in a meaningful way – the lyrics provide the meaning. Even Status Quo would have been nowhere over the last 40 years without their lyrics attached to their 12 bar blues songs and especially their choruses, anthemic for crowds to join, in the same manner a la Chuck Berry. So, to make your songs stand out, i.e. bands with someone able to sing will, I posit, get more traction with a far greater number of people than instrumentals alone ever do. Hence Average White Band (unknown by many youngster no doubt) who in the 1970s sold massively and became highly successful across radio world wide, more so than say Candy Dulfer, who is brilliant and huge in her niche but not widely known outside of it in the public’s concept of those who occupy mainstream media. Hence Eric Clapton, sang and so occupied public consciousness for a while and Peter Green of original Fleetwood Mac, didn’t (apart from fact his schizophrenia and heroin addicition didn’t help), is barely, if at all, remembered. To wrap up, I contend ACDC, I’m a fan since 1978, would not have had the global reach without great story telling, brilliantly written for their specific genre audience, underestimated by many is the difficulty to create simple choruses that resonate, no matter how good the music… er or to be honest, call ’em essentially good riffs. Story, conversation, whether music only or in lyric form, is the essence of the song writers’ craft. I believe that is why ‘americana’ styles are making a bit of a come-back. Williams, Guthrie, Dylan and all the great roots player/composers all could tell a great story. You certainly miss understood that statement. Lyrics are super important. But the greatest lyrics in the world without great music underneath won’t get anywhere. It’s the music that locks those lyrics in the listener’s mind. So you need both. I agree. Many songs out here have great sound and empty stupid lyrics. Music has a higher impact than lyrics. putting my own long-standing sentiments into words at last. Hi often write the lyrics first. Then I improvise singing while playing the guitar. It goes hand in hand. I wouldnt say there is one best way of doing it. Sometimes you change the music around the lyrics, sometimes vica versa. Both sides can limit you in improving the arrangement. One week passed and I still feel a terrible sadness when I read your beautiful words. Never before has a death of a musician moved so much because like you I grew up listening to Soundgarden, and the Temple Of The Dog record is probably THE most important album in my life. Especially when you talked about the episode with your daughter my eyes welled up. Chris will sorely be missed. Another great simple song Chris Cornell wrote. It made me think about #4: Dont Create Music Alone: because Him + Tom Morello = The Perfect Storm. Great music they made together in Audioslave! and in “What” you can hear influence from both Chris and Tom. Graham you have name dropped Soundgarden/Audioslave/Chris Cornell several times before, so I can imagine what you are going through. For me, the equivalent would be Dave Grohl. I would literally cry if he passed like that, because he is my biggest musical influence. If you’re feeling as bad as I did in the aftermath of Joe Strummer’s passing quite some years back, my condolences . There are many, many singers and groups that one may like, but most people have that ONE guy or girl or group that just grabbed you, at the right time and place. My theory is that it usually happens in middle school, hormones are raging and to most of us music starts to be “important”, more than just the “hit” on the radio that week. The Clash/Joe Strummer was mine. Chris Cornell, yours. I wasn’t a huge fan of grunge, (don’t get me wrong, I don’t dislike it), Britpop was more my thing at the time. But a song like “Black Hole Sun”, the first time I heard it was at work and I turned to one of my co-workers, who also wasn’t a huge fan of grunge, and we both said something to the effect of “that’s going to an all-time classic”. A great song is a GREAT song no matter what genre. I could listen to Chris Cornell play acoustic guitar and sing covers ALL night long. They played his cover of “Nothing Compares to You” on the radio right after I heard the news. What a VOICE that chap had. Huge loss for the world. the talent of chris Cornell was so immense it allowed him to make musical connections that even most other talented musicians could never come upon. The way he was playing “can’t change me” acoustically in 2016, just blows me away. No other human could ever do that song justice. If I write just one progression as good as one of his bridges, I’m happy for like five years. He wasn’t just a triple threat. He was one of the best ever at all three. The more you study his songs the more obvious it becomes. A master on another level indeed.